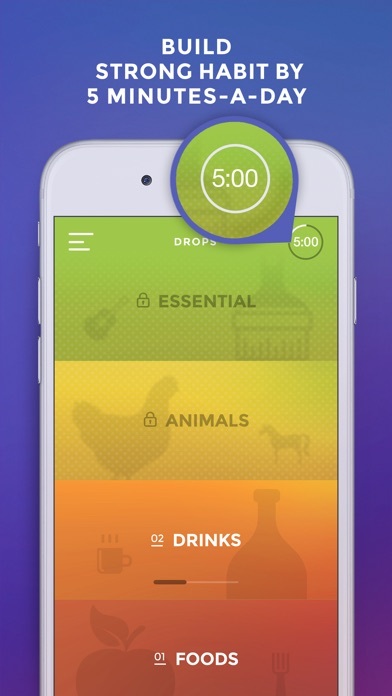 Drops is an amazing app, and it’s organized really well and the graphics are clean. it’s extremely helpful with learning vocabulary, and the five minute lessons are a great way to learn. 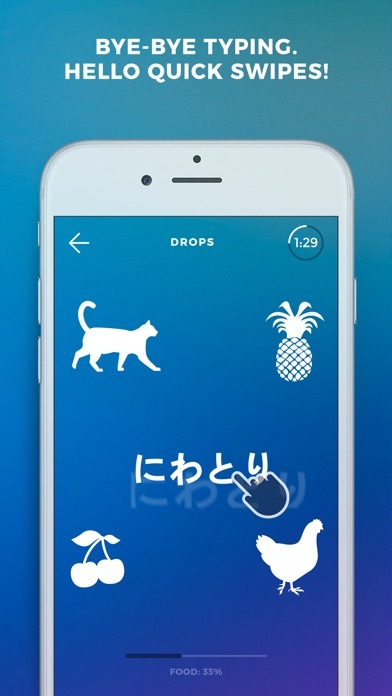 I have the drops app for korean and japanese and actually makes the learning process enjoyable. If the five minute lessons aren’t your style, you can get a yearly subscription for only about 5 dollars a month. 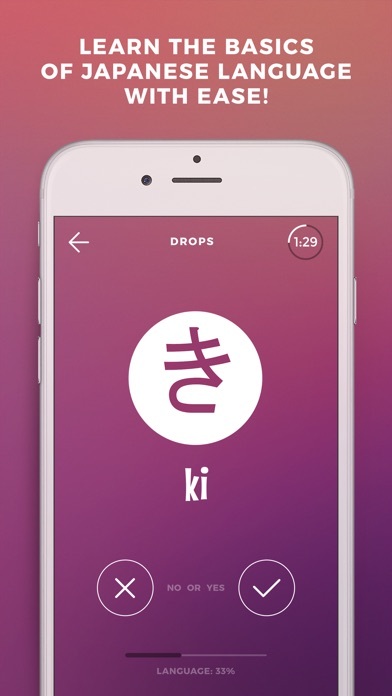 Great for beginners as you can choose between hiragana and katakana without kanji so you can learn the words then learn the kanji. 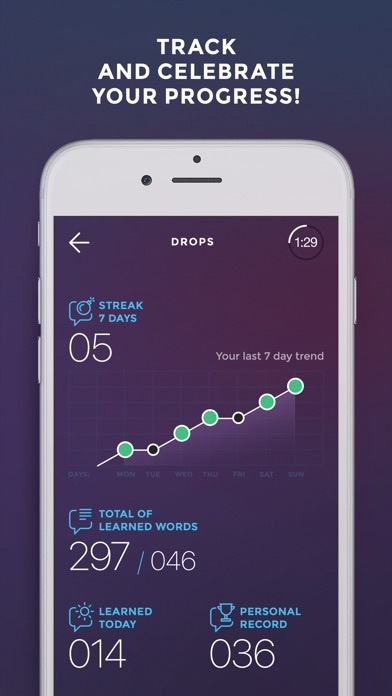 The app helps your learn faster and better! Extremely enjoyable. The exercises are almost game-like, which makes me want to keep playing. Still, I think a five minute limit is a bit too short. 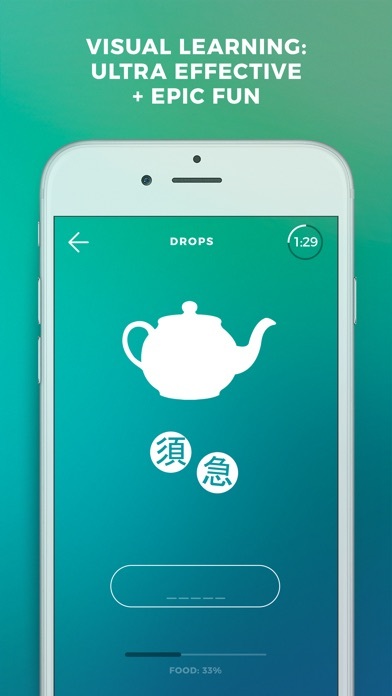 Seeing the romaji with the katakana/hiragana beneath the image of the item helps make the learning stick. Interactive way for beginners to learn! very smooth graphics- it makes the words so simple!